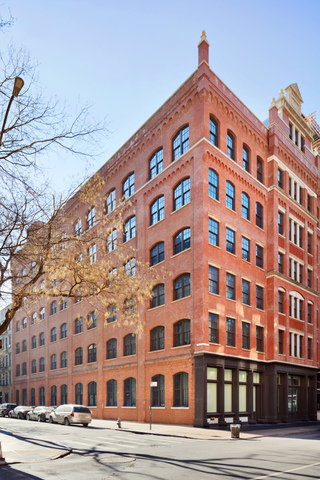 Residence 5A at The Schumacher is a grand scale and dramatic home in NoHos most coveted building. Originally a four bedroom loft, this stunning apartment was converted to an exceptional three bedroom of outstanding proportions. 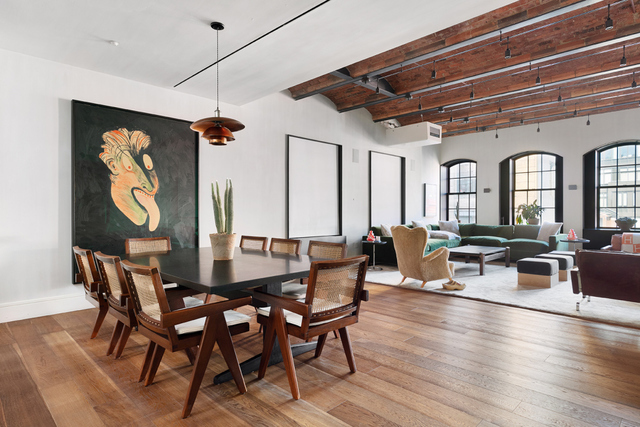 Sought after prewar details include soaring 12 exposed brick barrel vaulted ceilings, oversized arched wood frame windows, fumed 7.5-wide plank white oak floors and cold rolled blackened steel accents. 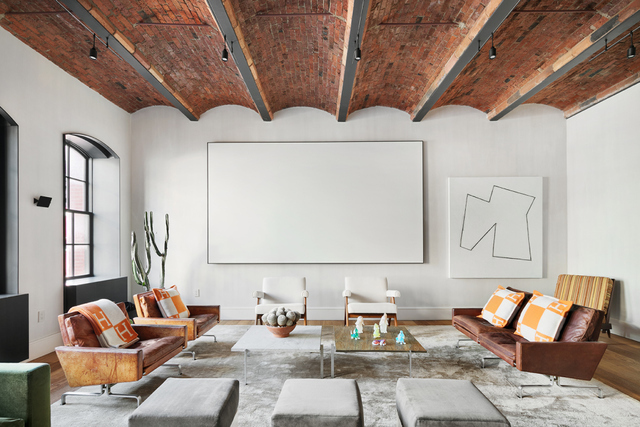 This meticulously finished apartment has been custom limewashed to perfection by Axel Vervoodts preferred artisan and includes today's most advanced smart home technology. 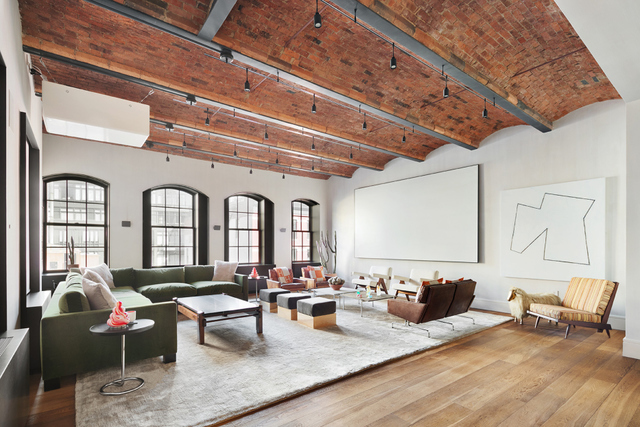 Natural light bursts into a sprawling 22 x 34 Great Room, which allows for multiple seating areas, through four oversized windows. Generously sized separate living and dining spaces are easily carved from this impressive room. A custom-made projector and screen provide movie theater quality entertainment from the comfort of your living room. 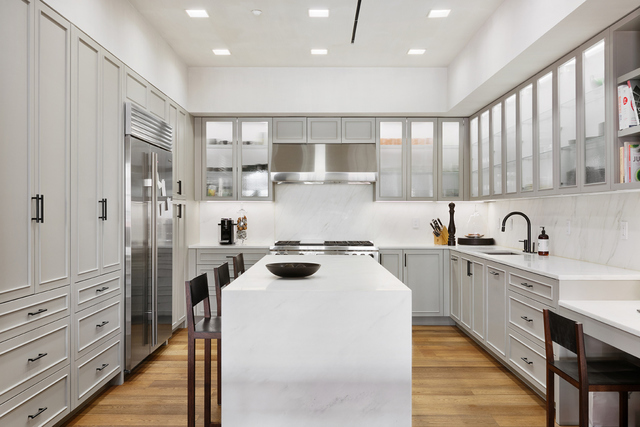 A large adjacent kitchen chefs kitchen is appointed with top of the line appliances, Calacatta marble countertops and slab stone island with marble waterfall. This home is well suited for displaying a prominent art collection from an abundance of wall space in the living areas and extra wide hallways. 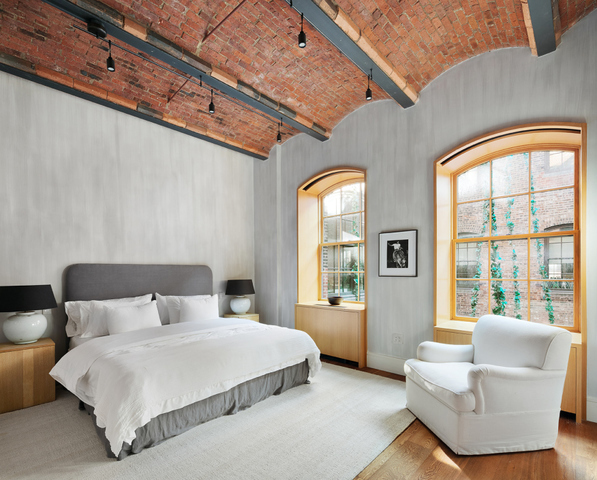 The massive 31 x 12'7 long master bedroom has the same soaring exposed brick barrel vaulted ceilings. Four large windows give way to streaming natural light and overlook a lush courtyard garden by the famed Ken Smith, best known for his spectacularly designed MoMA roof gardens. This opulent room can easily accommodate a separate seating or lounging area if desired. A spacious walk in closet is equipped with custom shelving. This bedroom enjoys access to two en suite Calacatta marble baths. 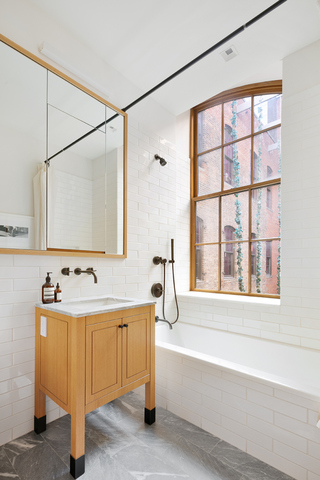 The luxurious corner master bathroom features two windows, a deep soaking tub, double vanity and glass walled shower. There are two additional king sized bedrooms, each with an ensuite bath and vaulted ceilings. 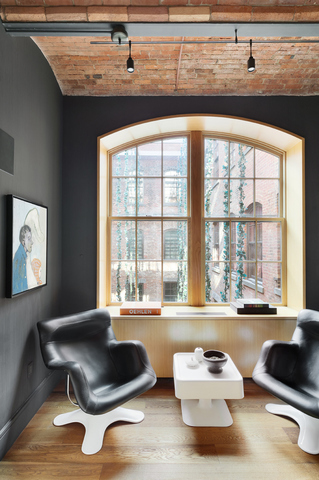 One currently functions as a home office with Southern light spilling in from an oversized arched wood frame window. 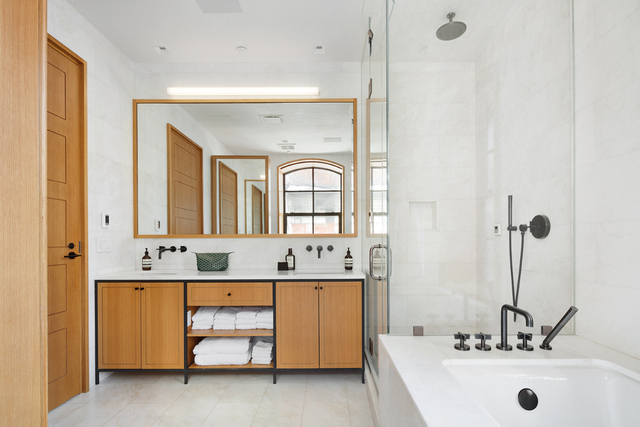 This room has also been thoughtfully enhanced with custom built-ins for additional storage, and there is an ensuite windowed bath with Toto washlet. There is a powder room, washer/dryer and AV closet off the rear gallery. The entire home has been outfitted with state-of-the-art audio/video in-wall and invisible speakers, all controlled by a Crestron system linked to a tablet or phone for convenience. Automatic shades have been installed in each room. 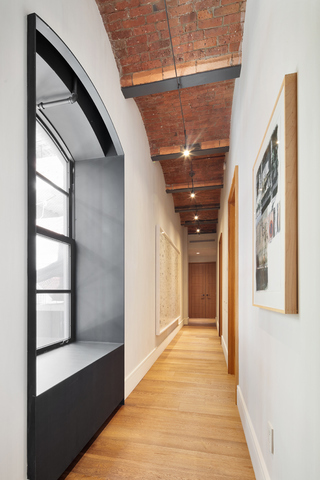 Formerly a celebrated 1920 Romanesque Revival-style print atelier, the Schumacher was re-envisioned to a full service luxury condominium comprised of 20 units over 7 stories. 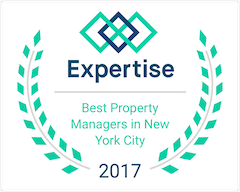 Amenities include 24/7 doorman concierge, fitness center, children's playroom, and a beautiful roof deck.